We are able to manufacture and supply Unmanned Patrol Boat, with the vast support of our team. As a leading manufacturer of Patrol Boat, we also provide Unmanned Patrol Boat. Using up to date techniques , we manufacture and supply Unmanned Patrol Boat. 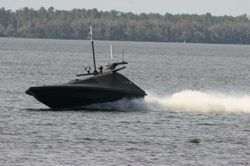 Our company is able to to provide Unmanned Patrol Boat to our valuable customers. Our company is one of the major company who deal in Unmanned Patrol Boat. We have a big team who is excellent in manufacturing Unmanned Patrol Boat. We have founded ourselves as a recognized manufacturer of Unmanned Patrol Boat.